← Hello world! From an Atheist in Arizona, where the weather is nice and the politics aren’t. 1. Do At heist’s still hold Morals/Values that are acceptable to their community? 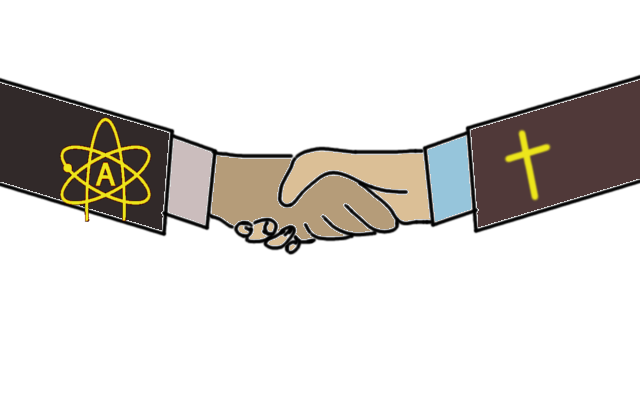 Everyone at the meeting seemed very nice/respective of each other, but have you or do you encounter Atheists that because of a lack of religion, feel the need to behave in any type of immoral behavior? I’m glad your experience so far has been a positive one. Atheists are people that live in society just like anyone else. There is no evidence that Atheists are less moral than Christians. Divorce rates for Atheists are among the lowest in America and Atheists make up only 0.2% of the prison population. We say “Atheists are good for nothing” which means that Atheists do good things because they are right and proper and not because they expect to be rewarded or punished after death. 2. How do members participate? Gender roles among the group? Are there any specific rituals that may be performed among Atheist’s to involve any type of rites of passage? What are the main ideologies regarding the genders among Atheists? We have no baptism. However, there are few of us that have been “un-baptized.” We also have no confirmation. There are not any “Catechism” schools for Atheists. Genders do not have separate roles. The creator of American Atheists was a woman and her successor, Ellen Johnson, led the organization for 13 year. There are no rites of passage. There are no “altar calls.” In our meetings, we have no rituals, not even the Pledge of Allegiance. 3. What do Atheist’s feel happens after life/death? Do they fear dying? One of the explanations that I have realized most religions even exist is the undeniable need for people to have an answer for life after death. How do most Atheists feel regarding any type of after life? When we die, we die. There is no life after death. It’s an amazing thing but most Atheists I know do not fear death even though this is the only life we’ll ever know. There is a famous quote by Banksy, “I mean, they say you die twice. One time when you stop breathing and a second time, a bit later on, when somebody says your name for the last time.” Banksy is a famous graffiti artist, political activist, film director, and painter. If we are to live on, we’ll do so in the memories of others. The following questions relate to a specific religious ritual event, if there is nothing specifically ritualistic among Atheists, I will use our meeting on Monday to answer the following questions. 4. Is there a particular religious official? During the meeting that you attended, you saw me as the leader. I am, in fact, the organizer of the group and the Monday night meeting that you attended is MY meeting. However, we have a variety of events and while I attend them, I’m in no way “in charge.” Philip MacDuff is in charge of “Drinking Godlessly”, Nancy is in charge of “Caffeinated Godlessness” and she is also in charge of the “Body Love” group. Wade has his own meeting on the first Sunday of the month. Each event has its own leader. Each leader is not a religious official, just the person that is responsible for the event. As the person that maintains the Meetup.com site, I’m in charge of the group. My title is organizer. I’m not “in charge” of the individual meetings, as discussed. I pay the bills and put on one meeting a month. The rest of the meetings are done by other people. 6. If there is someone “in charge” of the event, how is this manifested? For the meeting that I AM in charge of, I am the presenter and the moderator of the discussion. 7. Does this person act or dress differently from the rest of the people at the event? The person in charge of every event of the Tucson Atheists is not required to wear special attire. I MAY where a T shirt that identifies me as an open Atheists but it is not required and not separate and distinct from the normal attendees. 8. What is the flow of the event? The event that you attended was a bit different from the normal meeting flow. We do have an agenda however and each meeting includes at least have of the time in open (but moderated) discussion. 9. Do people participate individually or en-masse? People have their own ideas and participate as individuals. There are no ritualistic prayers, songs, or rote responses. This entry was posted in Uncategorized and tagged Atheist, community, good, meeting, morals, questions, rituals, Tucson Atheists. Bookmark the permalink.